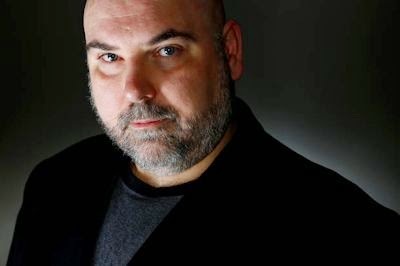 Please welcome R. S. Belcher to The Qwillery. The Shotgun Arcana, the sequel to the The Six-Gun Tarot, is out on October 7th from Tor Books. TQ: Welcome back to The Qwillery. How has your writing process changed (or not) from when you wrote your first published novel, The Six-Gun Tarot, to The Shotgun Arcana? RSB: Hi! Thank you so much for having me back! Shotgun Arcana is my third published novel, the sequel to my first, The Six-Gun Tarot. I think my process as a writer has increased in speed. I wrote Shotgun in the same year that I wrote my second written (and third published) novel, Nightwise. The demands of deadlines, means you have to buckle down and produce material you are proud of on a much quicker schedule. I wrote Six-Gun on and off over a few years and now I'm trying to average two novels a year. I must say though that the more you write and the more you enjoy that process, the quicker you get by nature. You get excited to tell your stories and you simply write more. I'm happier with my writing process now than I was the last time we chatted. TQ: In a January 2013 interview you described The Six-Gun Tarot as "...a genre-bending fantasy set in the wild west of 1869. It has horror, steampunk and black humor. It’s been likened to “Buffy meets Deadwood”. How would you describe The Shotgun Arcana? 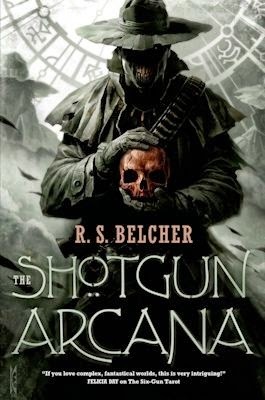 RSB: The Shotgun Arcana is a sequel to The Six-Gun Tarot and it has all those elements of horror, steampunk (more so than Six-Gun, in my opinion), and gallows humor that readers enjoyed in Six-Gun, with, I think, even more action and character development than its predecessor. It's a story I'm very proud of. TQ: Please tell us something about The Shotgun Arcana that we won't find in the book description. RSB: Shotgun Arcana has a a lot more historical characters in it than Six-Gun did. I think history buffs will have fun picking out the little Easter eggs I tried to drop for them in the novel. Also readers get to see an amazing map of the town in this book that I think will blow them away. I was so impressed by the artist's rendering of Golgotha and I think fans of the series will be as well. TQ: Which character in The Shotgun Arcana surprised you the most? RSB: This time around, I think it was the character of Auggie Shultz. Auggie's story arc is very surprising and very human. I also like the journey that Malachi Bick makes in this story. This story has a lot to do with Bick and his growth as a character. TQ: What's the interest in Tarot cards? Do you have a deck or decks? RSB: I own several and collect decks where I admire the artwork. I think Tarot touches on so many aspects of the human experience—psychology, sociology, Jungian archetypes, mythology and the collective unconsciousness. TQ: Why do you believe that the Western genre blends so well with other genres / subgenres? RSB: The western speaks to a part of us that yearns for the frontier, for freedom, and exploration, to make our own way and to command our own destiny. Those ideas are so essential to being human, in my opinion, and they work so well cloaked in so many different forms- be it Star Wars and Firefly, or Star Trek, or Blood Meridian or No Country for Old Men, to name just a few. The western embodies the human desire for boundless exploration and freedom. TQ: Please give us one or two of your favorite lines from The Shotgun Arcana. RSB: The Shotgun Arcana releases October 7. Then I have my occult noir novel, Nightwise release in August of 2015. I'm currently working on a novel— first in a series for Tor—called The Brotherhood of the Wheel. It's about truckers, outlaw bikers, the occult mysteries of the U.S. interstate highway system, secret societies, serial killers and urban myths. Brotherhood is supposed to release in 2016. RSB: Thank you, Sally! It's always a pleasure to talk with you. I hope we can do it again very soon. R. S. (Rod) Belcher is an award-winning newspaper and magazine editor and reporter. The Grand Prize winner of the Star Trek: Strange New Worlds Anthology contest, Rod's short story “Orphans” was published in Star Trek: Strange New Worlds 9 published by Simon and Schuster in 2006. 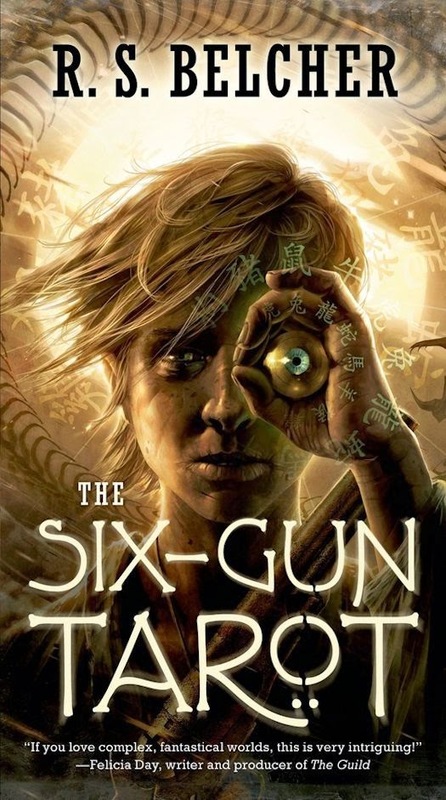 Rod’s first novel, The Six-Gun Tarot, was published by Tor Books in 2013. The sequel, The Shotgun Arcana, is scheduled for release by Tor on October 7th 2014. His novels, Nightwise, and The Brotherhood of the Wheel are to be released in 2015 and 2016, also by Tor Books. He lives in Roanoke Virginia with his children, Jonathan and Emily.